The final photograph in the series depicts Kenny Dalglish soaking up the acclaim of Liverpool’s supporters for the umpteenth time after being immortalised at Anfield. Five hundred and fifteen appearances as a player, 381 games managed, 18 major trophies won. Those astonishing numbers alone would be enough to enshrine Dalglish’s position in Liverpool Football Club’s pantheon of greats. But sometimes, statistics do not - and cannot - tell the whole story. Dalglish’s immeasurable contribution to Liverpool is not limited to his extraordinary feats as a footballer and a coach. Indeed, the Scot’s contribution to Liverpool transcends the sport that brought him to Merseyside, the place he still calls home, from Glasgow in August 1977. The guardian who stewarded the club and city through its darkest days in the aftermath of the events of April 15, 1989, Dalglish’s unique 41-year association with Liverpool is about so much more than football. Fitting, then, that a part of Anfield - a venue from which he enthralled, led and comforted - will forever bear his name. 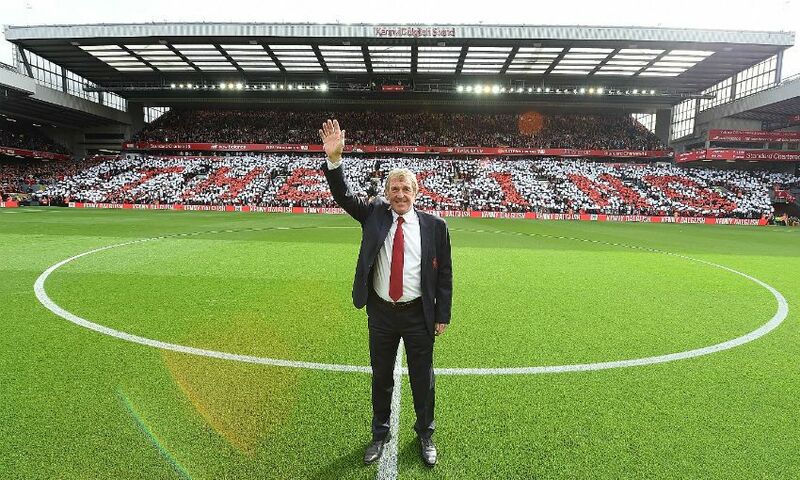 Last October, the stadium’s Centenary Stand was officially renamed the Kenny Dalglish Stand. “I’m hugely honoured to be recognised by Liverpool in this way,” said the man himself. “This is a club that means so much, not just to me, but to countless people who have contributed to it either through their ability as footballers, their passion as supporters or their commitment as owners and administrators. “If the people who matter think I’ve played some small part in the success that we have enjoyed over the years, that is an honour in itself because I am as aware as anyone that no individual has ever been or will ever be bigger than the club. The iconic image above shows the King proudly standing in front of the stand - his stand - the day after its renaming and ahead of the Reds’ Premier League match against Manchester United. Click 'previous' to view the other photographs to feature in the series.